prison time. We can help you win. Drug trafficking charges in Georgia are based on allegations that an individual possesses, sells, distributes or manufactures a large amount of illegal drugs. The difference between drug trafficking and other drug crimes – like drug possession, drug distribution or drug manufacturing – is the quantity of drugs involved in the offense. In most states, the case has to involve more than several pounds of marijuana or an ounce or more of “harder” drugs (like cocaine, methamphetamine, ecstasy, LSD, etc.) to be charged with drug trafficking. Because there is a larger amount of drugs involved in a trafficking case, drug trafficking charges can carry serious mandatory minimum prison sentences that usually increase with the quantity of the drugs. Here is a short video describing drug trafficking laws in Georgia, including some defenses that our firm has used in the past to win these cases at trial or successfully resolve them before they ever get to trial. I’ve been representing people charged in serious drug cases for over 20 years now, and I have handled a lot of drug trafficking cases. Usually, when someone’s charged with something like trafficking, they want to understand what it means, so I thought it might be helpful just to go over the basics. What is drug trafficking? Well to prove drug trafficking in court, the government has to show certain elements of the offense. They have to prove those elements beyond a reasonable doubt. In a drug trafficking case, there are basically two elements. The first element is that the government must show that the person was knowingly selling, delivering, manufacturing, or possessing a certain quantity of drugs. So trafficking is basically any type of drug crime. Selling drugs, having drugs, making drugs, as long as the crime involves a certain quantity of drugs. Now, the quantity of drugs will depend on the type of drug involved in the case and what state or government agency is prosecuting it. In Georgia, for example, if you have cocaine or methamphetamine, if it’s 28 grams or more, it’s a trafficking case. And it doesn’t matter what you’re doing with the drugs. You don’t have to be selling drugs to be charged with trafficking. Again, the important thing is the quantity of drugs that the state must prove you either had or had access to in some capacity in order to make a trafficking case. Now, there are defenses to a drug trafficking charge and there are many defenses that we have used effectively in representing people in cases like this. One of the first defenses, and it’s an obvious defense, is that there’re not enough drugs. Since a trafficking case is not just based on the activity, whether you’re selling, manufacturing, importing, or even just possessing, you have to show a certain quantity. So if the state tests the drugs and it comes back right around the threshold, say, you know, 28.5 grams, it’s quite possible that the test is wrong. So we will have an independent expert come in, look at that test, and see if we have an argument that they did not meet the threshold quantity. If we can make that argument, then usually we can get the case resolved for some lesser charge. Another defense and this applies only in a possession case, is that there was no actual or constructive possession of drugs. So if the government wants to say, “We’re going to charge you with trafficking because we know you had in your house or in your car, a kilo of cocaine.” Now we can show the quantity because it’s a kilo of cocaine, but we also have to show that those drugs belonged to you. And they can do that in two ways. They can show actual possession. If you’re driving the car and the drugs are sitting next to you, you have actual possession of those drugs. It’s really within your arms reach, no question about it. But you can also have possession of drugs even if they’re not with you at the time. Let’s say you have a kilo of cocaine back at the house and you’re driving somewhere else in the city. Now, you don’t have that cocaine with you, but, you have both the power and the intention to eventually go back and get it. It’s stored at your house, you know it’s there. In that case, you have constructive possession of those drugs. The state must show one or the other. If they cannot show that you have actual or constructive possession of the drugs and they’re basing the trafficking charge off of a possession allegation, then they can’t convict you. Another defense is the equal access defense, and that applies when the state is trying to use a presumption against you. Let’s go back to that example and say the police went into your house, they had a search warrant, they searched, they found the kilo of drugs. You aren’t there, but the police say, “Hey, it’s your house, we found drugs there, these drugs must belong to you.” That’s a presumption and they can argue that in court, but if they do, you can argue the equal access defense. You can say, “Well, that may be my house, but other people had a key.” If that’s true, then the state can’t convict you just based on the presumption that the drugs were yours because they were found in your house. Another defense in any drug case is you want to challenge any unlawful search or wiretap. I have not seen a drug case where there wasn’t some search that was subject to being challenged. If they went to the house and searched it and they had a search warrant, it’s possible that warrant was too broad. It’s possible there was not sufficient probable cause to support the warrant. And what happens if they go to a house and they have no warrant? They say they had consent, they had permission to search. Well, maybe they didn’t. It’s important that a lawyer looks into all of those issues because if you can challenge an unlawful search, then you can keep that evidence out and it will not be used against you in court. And many times, that will result in a complete dismissal of the charges. You also want to challenge a wiretap. Now, in drug cases these days, we see wiretaps all the time. That’s when a judge gives law enforcement permission to record your conversations with other people. That’s very damaging evidence in some cases. We’ve been able to have that evidence excluded from trial for two reasons. Let’s say, number one, law enforcement got a judge to go ahead and issue that wiretap, but they didn’t have sufficient probable cause. We had a judge down the road say there wasn’t enough evidence here, so they excluded the wiretaps. They could not use that evidence. Another way that we’ve kept wiretaps out of court during a trial is when the government had probable cause, they got the wiretap, the did what they were supposed to do, but once they had the recordings, they didn’t seal them properly. The wiretap statute is very specific about what law enforcement has to do once they have these recordings. In that case, they didn’t do it and we convinced a federal judge to keep those out of evidence and that case was eventually dismissed. So there’s several common defenses that a lawyer should consider in any drug trafficking case. If you’re charged with something like this or you know someone who is, hopefully, this has answered at least some of the questions you may have. But if you still have questions, feel free to give us a call. We’ve been handling cases like this for over 20 years now and we’ll do our best to help. Trafficking cocaine is defined as selling, manufacturing, delivering or knowingly possessing 28 or more grams of cocaine. If the quantity is at least 28 grams but less than 200 grams, the penalty is a mandatory minimum sentence of 10 years. For quantities of at least 200 grams but less than 400 grams, the law requires a minimum sentence of 15 years. More than 400 grams of cocaine carries a minimum sentence of 25 years. For morphine or opium (including heroin), a person commits the crime of trafficking when he or she possesses 4 or more grams. Selling, delivering, or possessing 4 or more grams but less than 14 grams requires a minimum sentence of 5 years. Quantities between 14 and less than 28 grams require a sentence of at least 10 years. For 28 grams or more, the law demands a sentence of at least 25 years. Trafficking in marijuana is defined as selling, manufacturing, growing, delivering, or possessing more than 10 pounds of marijuana. An amount greater than 10 pounds but less than 2,000 pounds requires at least a 5-year sentence. An amount between 2,000 but less than 10,000 pounds requires a minimum sentence of 7 years. For 10,000 or more pounds, the minimum sentence is 15 years. For methamphetamine or amphetamine, trafficking involves the sale, delivery, or possession of 28 or more grams. Amounts between 28 but less than 200 grams will result in at least a 10 year sentence. For amounts between 200 but less than 400 grams, there is a mandatory minimum of 15 years. Greater amounts trigger a 25-year mandatory minimum sentence. Manufacturing these drugs carries its own penalties, which are virtually the same as above. The only difference is that the manufacturing of any amount under 200 grams requires a minimum sentence of 10 years. While the above-listed sentences are mandatory minimum sentences, there are three different ways a defendant can be sentenced to less than the mandatory minimum. First, the District Attorney can file a motion asking the sentencing court to reduce or suspend a sentence if the defendant provides substantial assistance in the identification, arrest, or conviction of any other individuals involved in the drug operation. Second, the sentencing court may use its own discretion to depart from a mandatory minimum sentence if the defendant was not a leader in the drug operation, if the defendant did not possess a weapon, the criminal conduct did not result in a death or serious bodily injury, the defendant has no prior felonies, and the interests of justice will not be served by applying the mandatory minimum sentence. Third, the sentencing court may depart where the District Attorney and the defendant have agreed to a sentence that is below a mandatory minimum sentence. 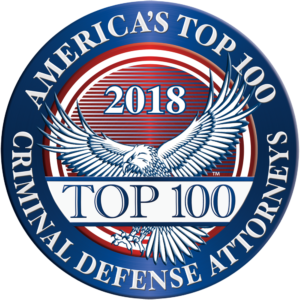 Read about our firm’s success in Georgia criminal cases. In defending drug charges, a criminal defense attorney will normally try to determine whether the search and seizure that led to the discovery of any drugs was legal. If the drugs were discovered in a vehicle, the attorney will have to determine if the officer who stopped the vehicle had cause to do so. It will also have to be determined if the officer had cause to search the vehicle or if consent was given by the accused. If the drugs were discovered in a home, an attorney will have to verify that the search was based on a valid search warrant or other probable cause. If the police violated a person’s rights, a judge may be forced to suppress any evidence of drugs. Another defense to drug charges is to argue that the defendant was not in possession of the drugs. A person’s mere presence where drugs are found is not enough for a conviction. There must be some additional evidence connecting the defendant to the drugs that were discovered. There are two types of possession under the law. Actual possession occurs when the defendant had knowing and direct physical control over drugs. Constructive possession occurs when the defendant had the power and intention to exercise control over drugs, but not actual possession. There is also a presumption that the owner of a dwelling or the owner or driver of a car is in possession of any drugs that are found in the home or car. This presumption may be rebutted if the defendant can show that others had equal access to the car or home. Many other potential defenses are available to a person accused of a drug crime. If you have been charged or are being investigated for a Georgia drug crime, you need an experienced Georgia defense lawyer who will defend your legal rights. Our firm has successfully represented clients charged with drug trafficking and drug possession for many years. If you have been charged with a drug crime, our firm may be able to help. The information provided above is a very general summary of Georgia drug laws at the time this text was prepared. Because this analysis is subject to change depending upon recent cases and legal developments, you should not rely on this summary as legal advice. As with any important legal question, you should always consult a Georgia criminal defense lawyer licensed to practice in your jurisdiction. Our lawyers are licensed to practice in all state and federal courts in Georgia.